This entry was posted in Disney Dining, Disney World and tagged budget, Dining Plan, Disney Dining, money, quick service, snack credit, spend, table service, worth it by Jamie. Bookmark the permalink. 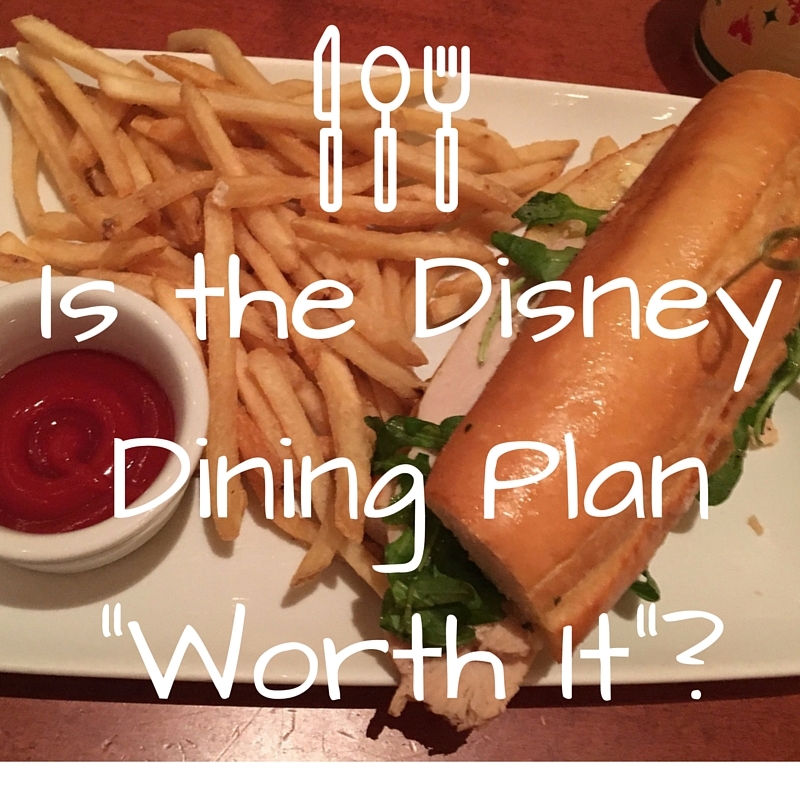 I think if your family likes to eat 3 meals a day and snacks along the way then the Disney Dining plan is the way to go! I also think to there is a BIG value to the convenience. It is all paid for in advance and you just can spend your cash on souvenirs and fun! It may not always work out to save you tons of money but it is like valet parking or room service…there is a fee for convenience. But thankfully Disney has options that fit for everyone. I did a very similar blog post and kept track of my costs and the dining plan made sense! Now as an annual passholder I use tables in wonderland, but if I don’t renew my pass I’ll definitely use the dining plan again.